I returned to Cyprus in late May, 2009 to a fresh annual on Lucky Lady Too and my mechanic to have a friend in Israel with a security clearance to vouch for my entry into Israel. I had waited to visit Israel after landing in all the other Middle Eastern countries as most would not let me in if I had been to Israel. Israel and the Holy Land was awe inspiring. Every where you look you see a sight of history that you have been told about since your childhood. 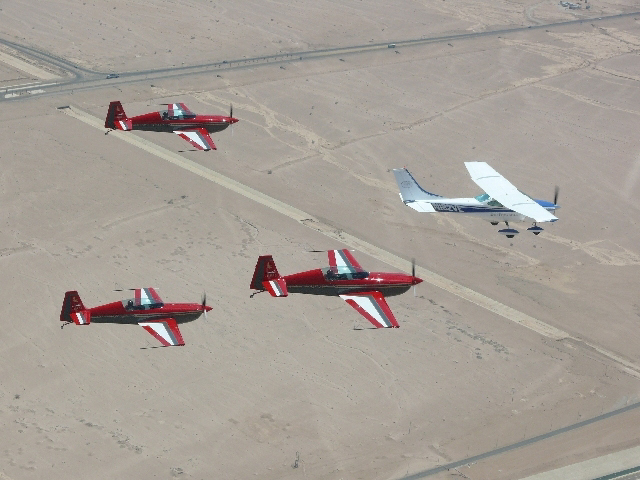 From Israel Lucky Lady Too and I headed back to Aqaba, Jordan to see your friends the Royal Jordanian Falcons. They had seen me on Jordan TV with my flight into Iraq and had invited me to return to fly in formation with them. It was truly an exciting moment for both Lucky Lady Too and I. From Jordan we headed back into the Mediterranean Sea to the Greek island of Crete. Then west to the “leaf on the sea” island of Malta where history has been in the making from the Crusades to WWII. From Malta we headed back south to Tunisia on the African continent. Saddam Hussein owned an estimated one hundred 747 aircraft. Just before the Iraq war broke out he dispatched them to neighboring countries to insure their safety. He sent six to Tunisia, two to the airport at Tozeur. If you look closely at the photo below you can see Lucky Lady Too parked between the two that were sent to Tozeur, Tunisia. (The tires were flat). From Tunisia we headed over Algeria to Morocco with stops in Fez, Marrakesh, Casablanca and Tangier before continuing onto Gibraltar, Sardinia and onto Austria. So far the two of us have now landed in 125 countries. 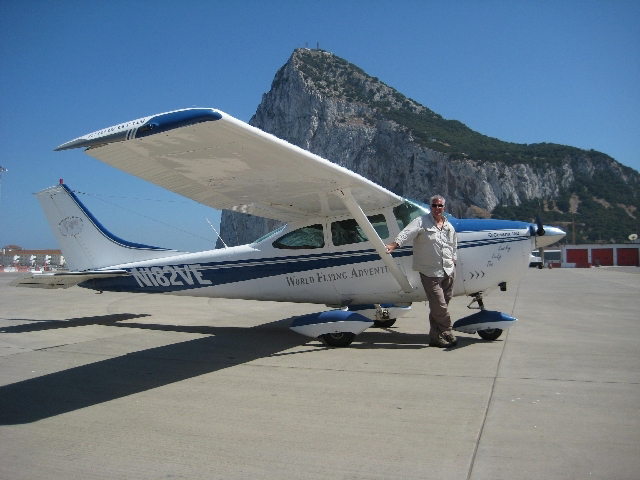 The next leg we join up with a European group of 11 airplanes headed from Austria to Turkey, Armenia, Kazakhstan, Mongolia, Russia and Alaska where we will depart the group and continue our own route back across southern Canada, Greenland, Iceland and back into Western Europe. Unbeleivable as it is, Lucky Lady Too was captured by Google!! 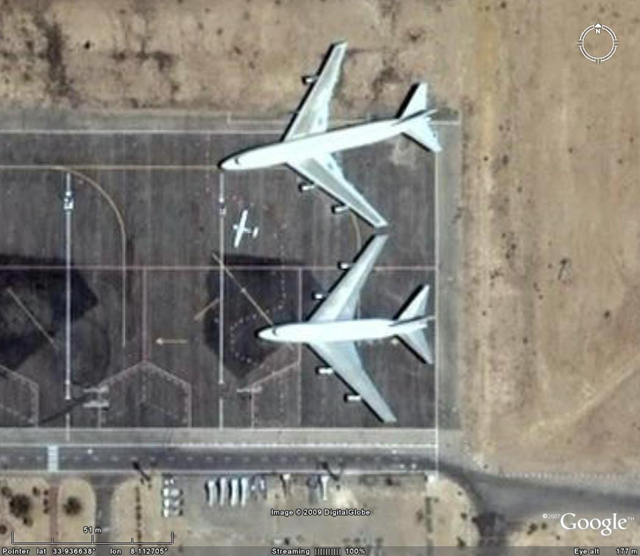 LLT can be seen between the two 747s on Google Earth at position: N33.936760 and E8.112426 ! !